012, a photo by DarrenNunis on Flickr. 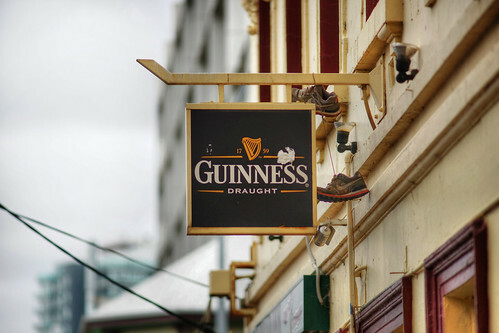 Walking around South Melbourne and this sign outside the pub caught my eye, well that and the pair of shoes hanging at the side. Wonder if that means the same thing it does in US. More tomorrow.